“A nation that forgets its past has no future”. These words of Winston Churchill could not be more apt to describe the purpose of this commemoration. 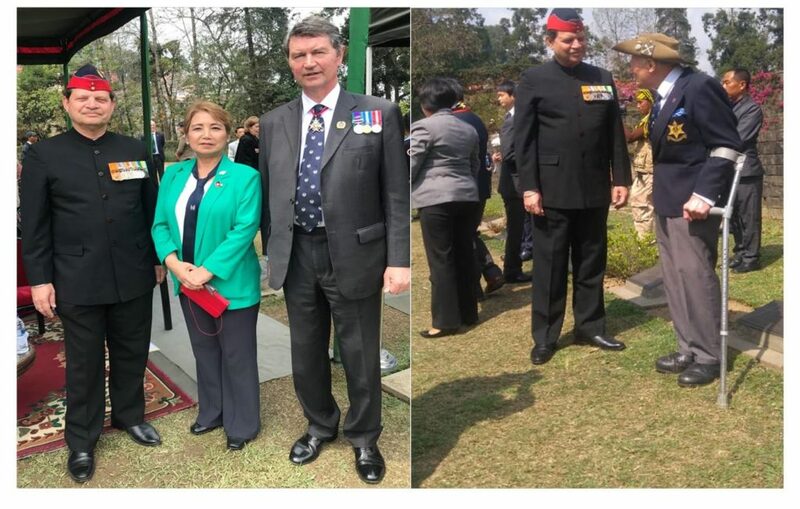 The Commemoration Ceremony, on 04 April 2019 at Kohima, was inaugurated by Shri Neiphiu Rio, Chief Minister of Nagaland; in presence of HE Sir Dominic Asquith, KCMG, High Commissioner of UK; HE Mr Kenji Hiramatsu, Ambassador of Japan and Lt General R Sirohi, AVSM, VSM, GOC 3 Corps. 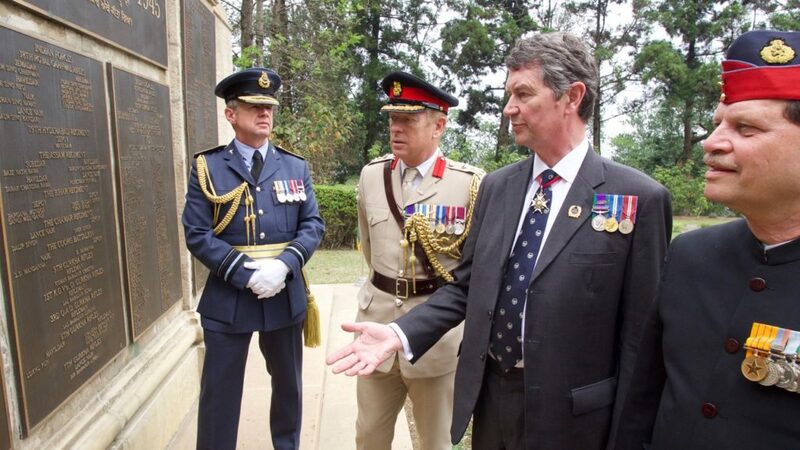 The commemorations were intended to honour the memory of all the soldiers who fought and died in the conflict irrespective of nationality. 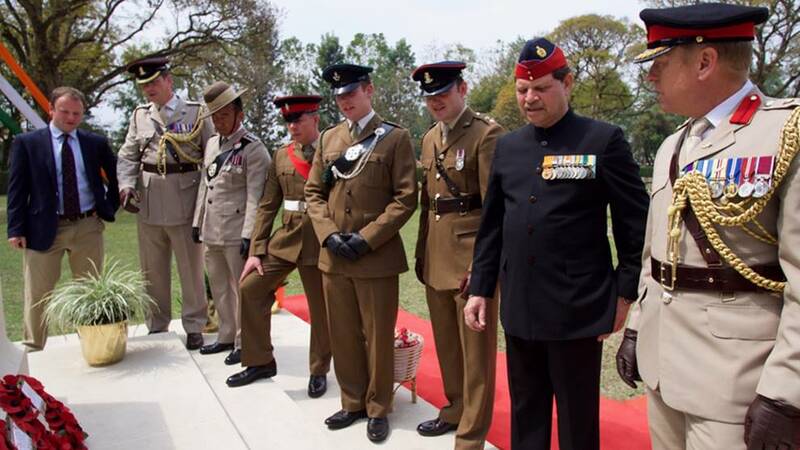 The USI was represented in the ceremonies by Maj Gen PK Goswami, VSM (Retd). The USI and the British High Commission produced a commemorative brochure, which was distributed to all participants. 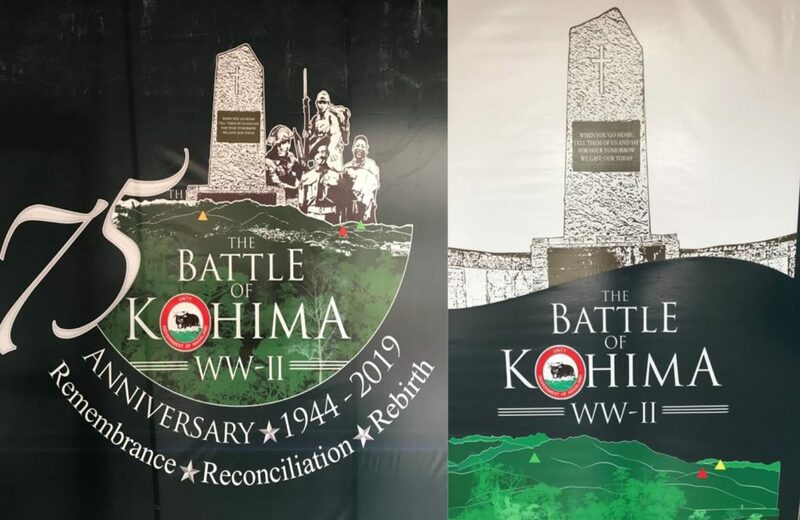 Kohima, a hill town in the middle of the Naga Hills, was the site of one of the most bitterly fought battles of the Second World War from 4 Apr to 22 June 1944. The British and Indian Fourteenth Army, under the command of General William Slim, had been building logistical bases at Dimapur and Imphal for an eventual offensive into Burma. The Japanese Fifteenth Army, under the command of Lt General Renya Mutagachi, received orders in early 1944 to put a stop to the British preparations in Assam. 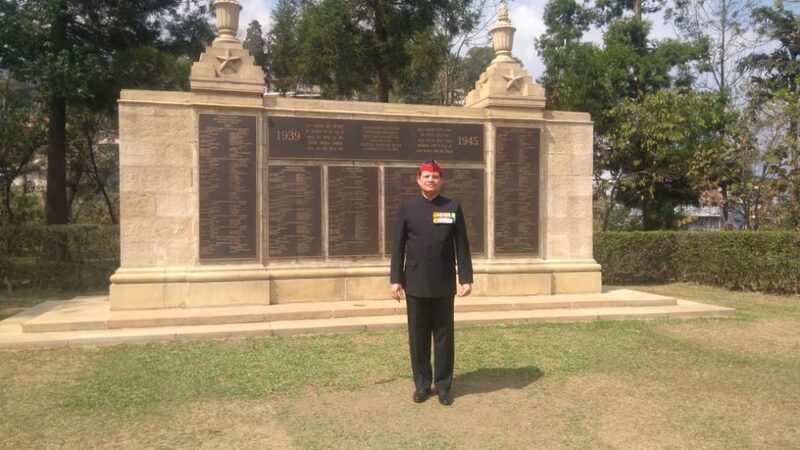 The fighting in and around Kohima in the spring of 1944 was part of a larger Japanese offensive, known as Operation U-Go, in which three Japanese divisions, the 15th, 31st and 33rd, attempted to destroy the British / Indian forces at Imphal, Naga Hills and Kohima. The Japanese, however, were unaware that the British and Indian troops based in Assam in 1944, unlike their predecessors in 1942, were properly trained for the coming battles. 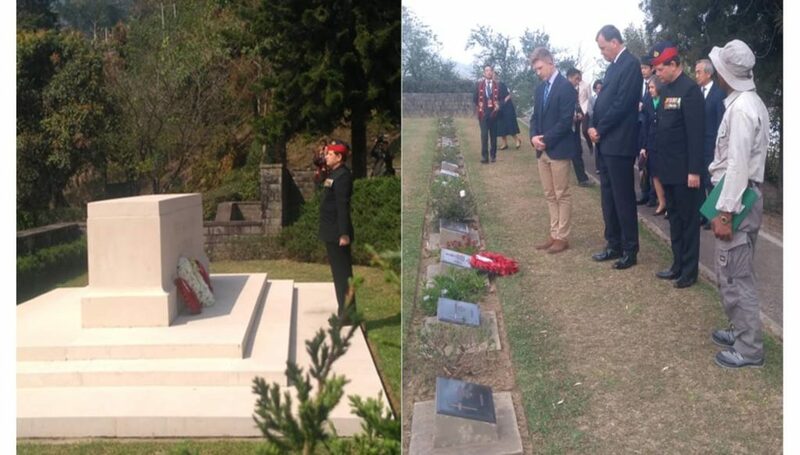 The Kohima war cemetery, divided into 7 steps, was established in 1946 and inaugurated by Field Marshal Sir William Slim, Commander 14th Army. 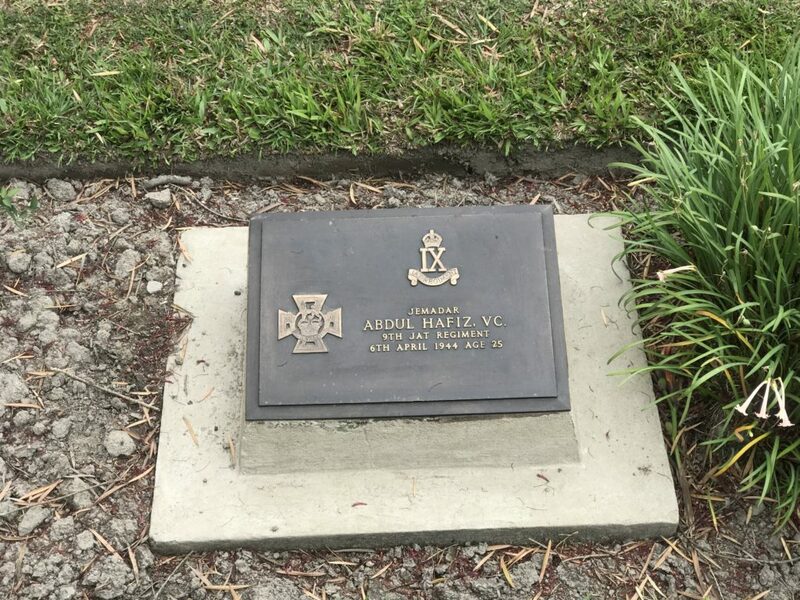 This is the final resting place of 1421, commonwealth serviceman of WW – II, most of whom fell during the siege of Kohima and the fighting which followed its relief. 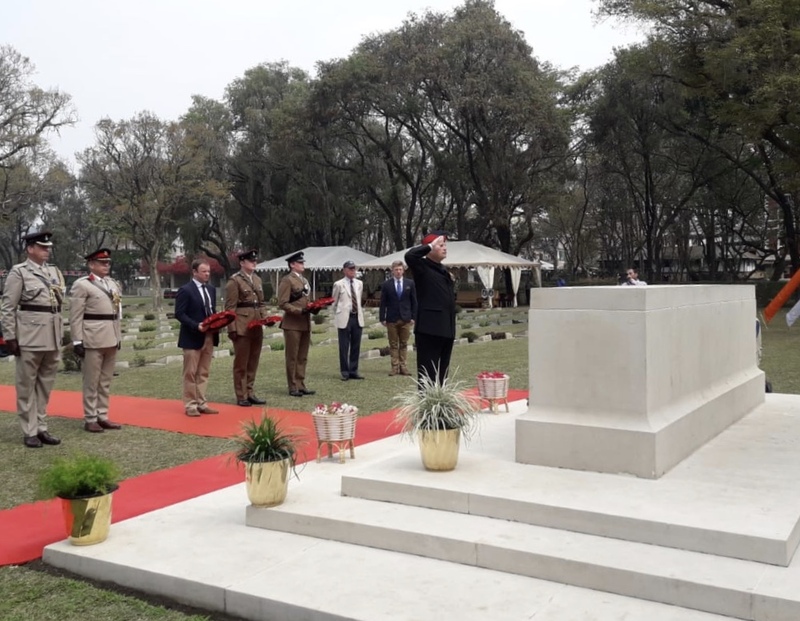 Wreath Laying at Kohima Cemetery was organized by IGAR (N) on 05 April 2019. 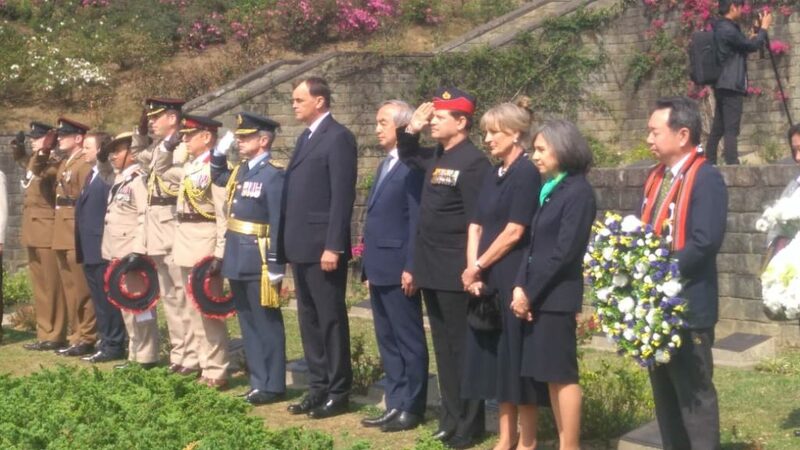 Vice Admiral Sir Timothy Laurence, KCVO, CB, ADC (P), Vice Chairman, CWGC; HE Sir Dominic Asquith, KCMG, High Commissioner of UK; HE Mr Kenji Hiramatsu, Ambassador of Japan; Mr Richard Day, British Veteran of the Battle of Kohima; Ms Salvia May, CEO, Kohima Education Trust, UK; Mrs Akiko MacDonald (daughter of Lt Taiji Urayama, served in 15th Imperial Japanese Army) CEO, Burma Campaign Society; Mrs Celia Grover (daughter Maj Gen M L Grover, GOC 2 British Division, commander of British forces in the Battle of Kohima) and large number of Indian veterans attended the event. 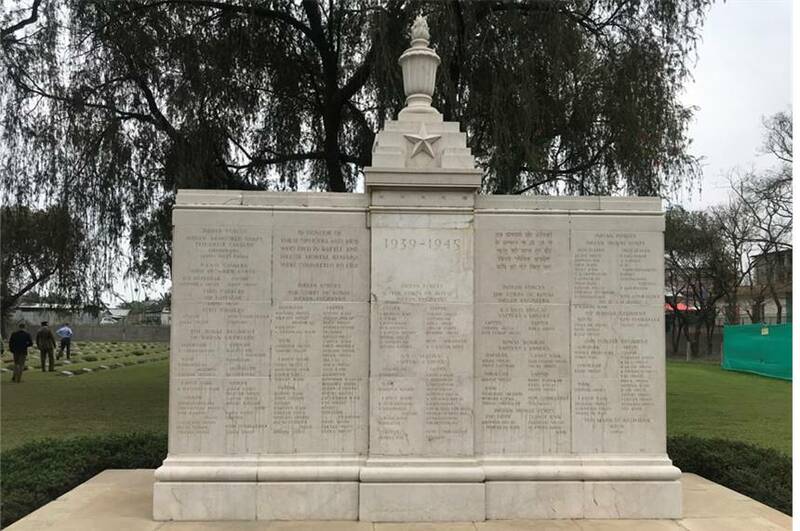 At the highest point of the cemetery stand the “Kohima Cremation Memorial” which commemorates 917 Hindu and Sikh soldiers who were committed to fire in accordance with their faith. Previously, this location (photograph below) was the site of the DC Bunglow and Tennis Court and it was here that the famous Battle of Tennis Court was fought which is also known as one of the most bloodiest battles in the history of warfare. In March 1944 the Imperial Japanese Army launched Operation U-Go to capture the Imphal plain in the princely state of Manipur, which was the forward Allied base beyond the Chindwin. The attacking forces crossed the Chindwin and Manipur Rivers from 8-16 March 1944. They were supported by the week and ill-equipped 1st INA Division having approx 6000 men. Imphal was the main objective and for this Japanese 33ed Division was tasked. The Japanese 31st Division was tasked to make a hook to the north and capture Kohima, thereby cutting the only road connecting Imphal to railhead and British supply base at Dimapur. The inhospitable terrain severely hampered the quantum of supplies and ammunition the attacking troops could carry. The Japanese Army fought with devotion and tenacity that was impossible to match, but better training and logistic support ensured the morale and fighting capabilities of Allied troops never flagged. On the other hand over-stretched and untenable Japanese lines of communication degraded their fighting potential. On 22 June 1944 road block at Mile Stone 109 (Imphal – Kohima Road) was destroyed by allied forces, thus after three months siege by Japanese troops was lifted and first convoy from Kohima moved to Imphal. It marked the turning point in the campaign, and was the beginning of the end of Japanese resistance in the region. This is the final resting place of more than 1600 commonwealth soldiers and airmen, of whom more than 200 served with Indian Regiments. 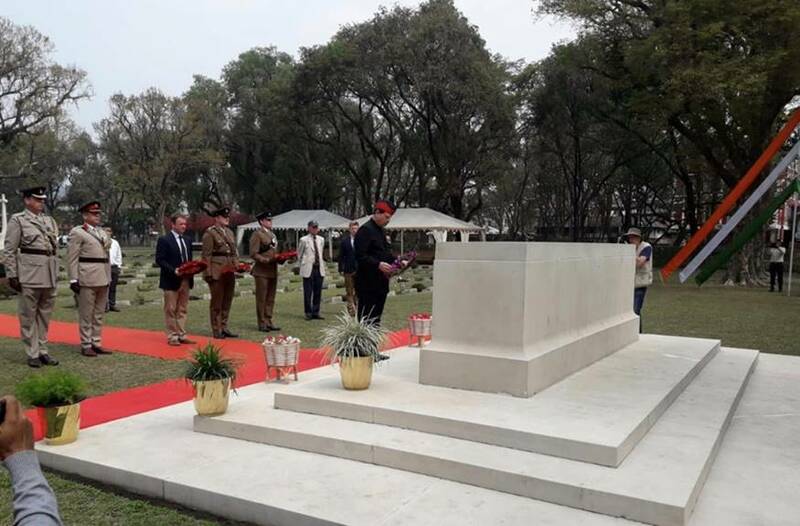 This is the final resting place of more than 820 Indian and African soldiers, of whom more than 200 remain unidentified. In a message for issue ‘to all ranks on the Manipur road’, Earl Mountbatten wrote after the battle of Kohima that ‘only those who have seen the geographical nature of the country under these conditions will be able to appreciate your achievements’. 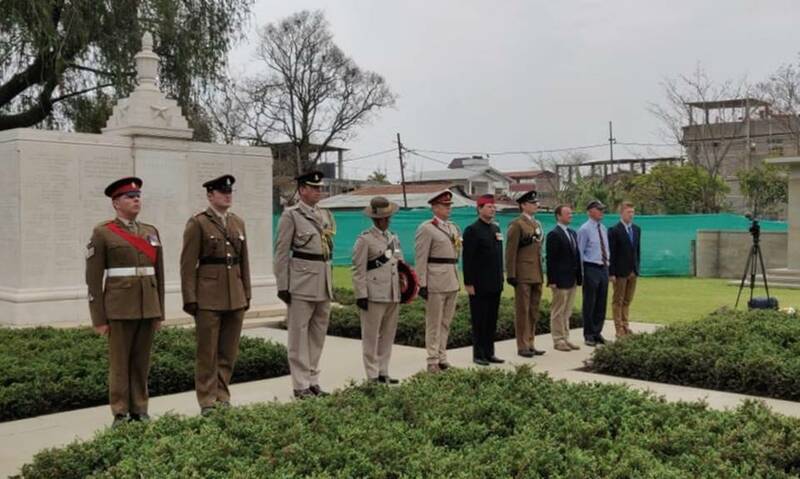 This sums up a great truth about the battle of Kohima, and emphasizes the magnitude of the victory bought at great cost by the combined British and Indian force of the 2nd British Division, the 161st Indian Brigade (which included the 4th Royal West Kents), and the 33rd Indian Brigade. 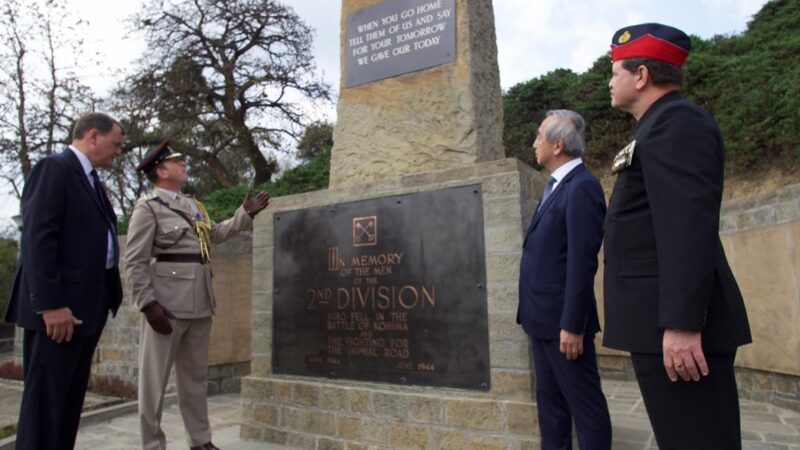 Though its importance was not fully realized at the time, Kohima was a turning point in the war against Japan.